Cœur de Carotte, the farmer’s market in Cowansville is active every Thursday afternoon from mid-June until mid-October. 15 to 18 producers from our region present their amazing produce each week. 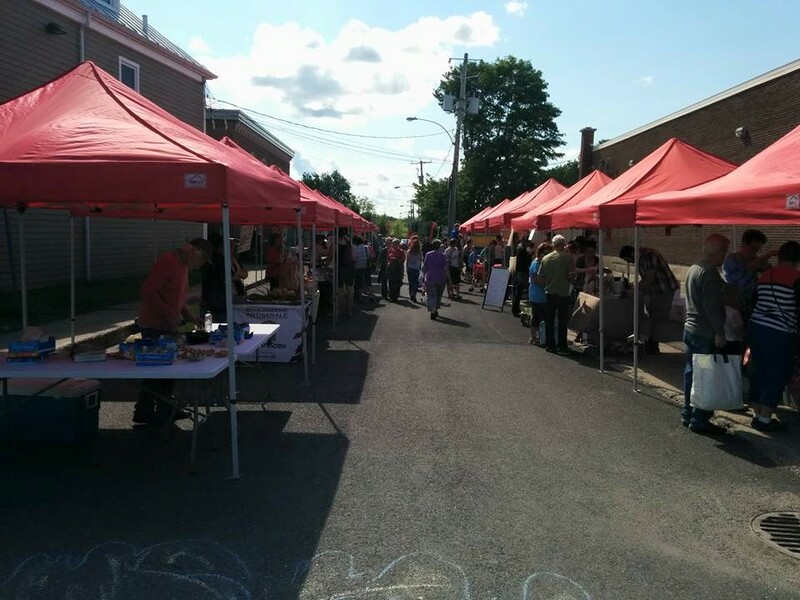 The market is now located on John street, the street is transformed into a pedestrian only boardwalk! 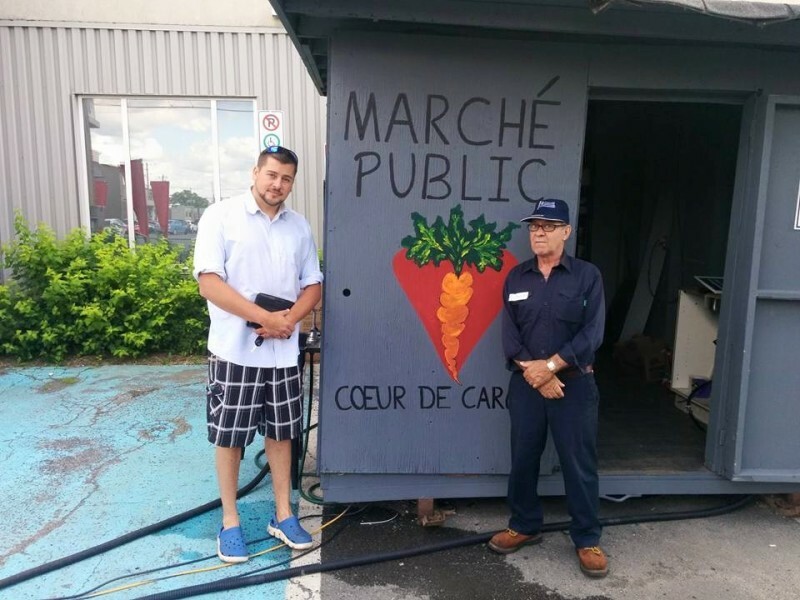 At the beginning of 2015, the l’Éveil caseworkers informed certain members of the possibility of working in a great new project, the farmers market Coeur de Carotte! They would be paid for their hard work alongside local farmers. The people were guided by their caseworkers and worked on individual goals! Each person had different needs and objectives! The people who were there the previous year were so excited! Our members were really appreciated by the farmers! The producers loved the hard work and great attitude of our amazing members. 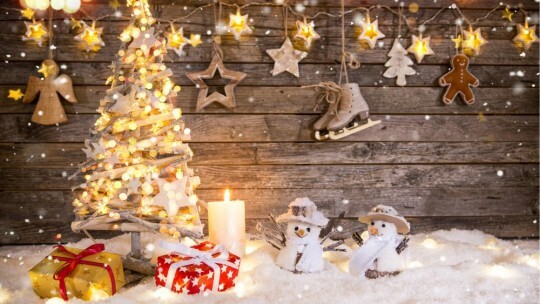 We would like to thank all those involved! Thank you to our volunteers! In the same way we took information from the merchants, they were very satisfied with our helpers. Our members strengths were very clear! Their participation, their hard work, the reliability and pride were impressive. The comments we have received from clients and farmers have been very positive and constructive. We believe in this amazing project and we are very proud of our members accomplishments.